How many times have you walked out of a salon unhappy with the haircut you’ve gotten? Or even worse, how many times have you walked out of the salon happy with the haircut you’ve gotten, until your first wash? Yeah, it happens to the best of us. 1. Book a consultation. Before taking an appointment for a haircut, see if the salon will let you book a consultation with your stylist. Most salons allow this and it’s free. If not, let the salon know you’ll need a few extra minutes with the stylist before your haircut to discuss how you want your hair. 2. Do your research. Don’t blindly go in for whatever haircut you think everyone’s getting at the moment, make sure it’ll suit your face shape. You can refer to our article on different hairstyles for different face shapes here. 3. Use images. If you have a particuar hairstyle in mind – for example, on you’ve seen in a magazine or on a celebrity – take a picture of it to show your stylist. A picture is truly worth a thousand words and there’s no faster way to communicate to your stylist exactly what you want. 4. Be realistic with your expectations. Everyone’s hair is different, so you have to realize that the hairstyle you like may not look the same on you as it does in the picture. That said, you can talk it through with your stylist and decide on how you can adapt the hairstyle to suit your hair. 5. Always meet your stylist first. There’s usually someone who comes to prep your hair for the stylist, but before that’s done make sure your stylist gets a good look and feel of your hair. This will allow him/her to evaluate the texture, the way you style it usually, etc. and based on that information you’ll get a better cut. 6. Maintaining the cut. Tell your stylist whether you like your hair to be high or low maintenance. That way, you won’t go home with a haircut that needs a half hour of styling every morning when you only have 5 minutes before work. 7. Stay focused. When you’re getting the haircut, don’t read a magazine or stay glued to your phone. The haircut itself should barely take an average of 15-25 minutes, so just for that duration sit straight and concentrate on what your stylist is doing. Sitting straight will give you a more even haircut and being focused will allow you to work with the stylist as he’s cutting your hair. This will also allow you to stop the stylist if you think you’d like to change something about the way he’s cutting your hair. 8. Styling it yourself. Your hair will look fab right after the hairstylist has given it a good blowdry, but what about after you wash it at home? To avoid future bad hair days, observe how your hair is being styled and feel free to ask any questions. You can even ask your stylist to give you a step-by-step ‘how to’ on the best way to style your hair. 9. Products are important. This is especially true if you have a high maintenance haircut. Your stylist uses a bunch of products during the appointment, right from the shampoo they use to wash your hair to type of styling brushes used to the serum they use after the blowdry. Ask about the products used to achieve your look and if needed take down their names and details. Salons also usually have their products for sale. 10. Touch ups. If you get bangs or a similarly high-maintenance hairstyle, go back to the salon for regular touch ups. You hairstylist will be happy to trim your bangs for you – it’ll only take a few minutes. Once you’ve gotten the right haircut, touch ups can be just as important. Now that you know how to get the results you want from your hairstylist, you know every haircut can be a great one. 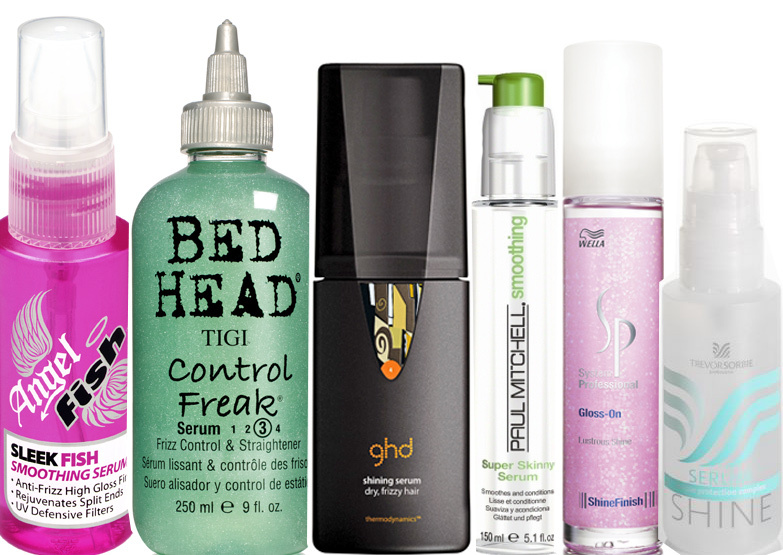 Say goodbye to bad hair days! 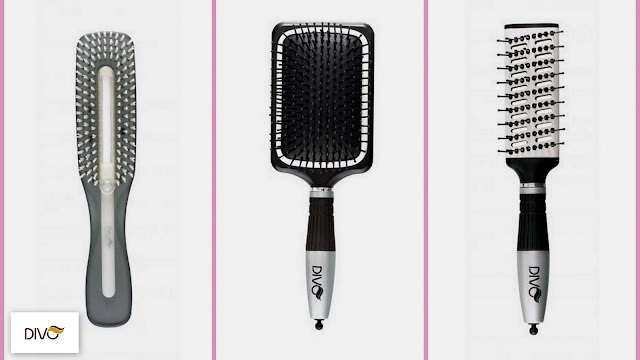 DIVO offers a range of hair brushes for every purpose - take note of which one your stylist uses! Make sure you find out which serum your stylist is using on your hair, so you can use the same!